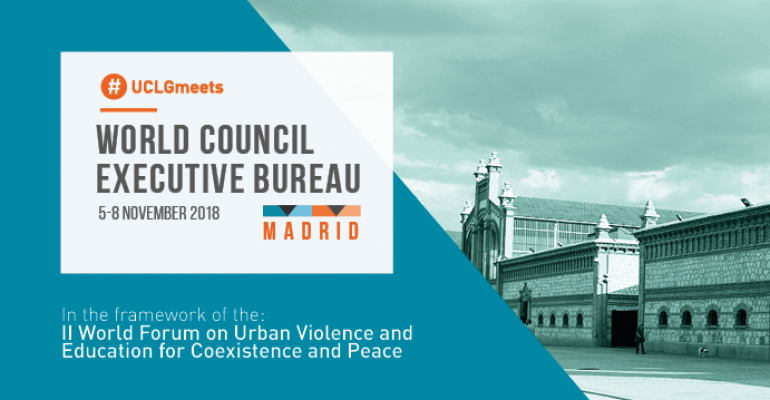 On the 5th until the 8th of November the World Council from the United Cities and Local Government (UCLG) will be held in Madrid. The UCLG is the networks of local governments and cities that cooperate and work together to combat the challenges that cities and local governments face. These challenges range from urban violence to climate change. The World Council is the forum where the leaders and representatives of cities and local governments gather to discuss these problems, as well as how these can be turned into opportunities. During the World Council, the 2019 edition of the Peace Prize will be launched! On the 7th of November, the applications will open with a video, after which they will remain open until April 2019 which will give us three finalists. The Award Ceremony will be where it all started: the UCLG World Council in 2019. Want to know more, or stay updated with the UCLG Peace Prize’s activities during the World Council? Follow us on Twitter and Instagram at UCLGPeacePrize!